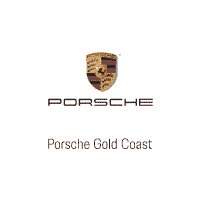 We are proud to be a Porsche Exclusive Manufaktur Partner. Exclusive Manufaktur Partners enable Porsche clients to personalize their dream Porsche right at the ordering stage, almost as if they were at the factory. The most important elements? Craftsmanship and commitment. Plus the finest materials such as leather, carbon fiber, wood, and aluminum – all crafted in countless small steps with composure, care and meticulous attention to detail. All in the pursuit of exclusive components to build your most personal Porsche. Our Global Certified Brand Ambassadors maintain close contact with the Porsche Exclusive Manufaktur Departments in the U.S. and Germany where all handcrafted parts are assembled and receive rigorous training in the area of custom tailoring. Our experts will show you what’s possible and assist you in making your decisions. After all, even the advice you receive should be Exclusive. The result? The highest form of personalization. Designed by you, to your personal specifications. Technically and visually. Inside and outside. A true one of a kind. From special request program to Porsche Exclusive Manufaktur. ‘In the beginning I looked around and could not find quite the car I dreamed of. So I decided to build it myself.’- Ferdinand Porsche, PhD, Eng. Porsche builds seven models of the 959 for a sheik – they are still unique to this day. A 911 in the best Speedster tradition: 70 millimeters lower, more inclined front windscreen, flat contour of the sportily cut fabric hood and double bubble on the hood cover. Number produced: 356. 670 hp. 553 lb-ft of torque. 500 units. Lightweight construction meets craftsmanship. Carbon on character. Perfection on performance. The result: the 911 Turbo S Exclusive Series. An exception. It used to be called a personalisation program. It became Porsche Exclusive in 1986. It is only logical for us to bear the entire name of the special place of refinement from now on: Porsche Exclusive Manufaktur.